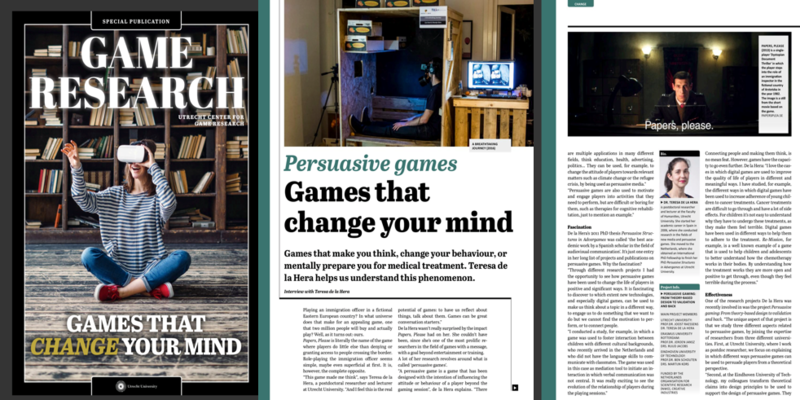 Teresa de la Hera talks about the potential of digital games to change the attitude of players in a special issue recently published by Utrecht University. In the interview Teresa talks about the theoretical knowledge on Persuasive Games gained during the PGiC project. Read the whole interview here: PDF.